Dimensions : 80(W) x34(D) x163(H)cms. 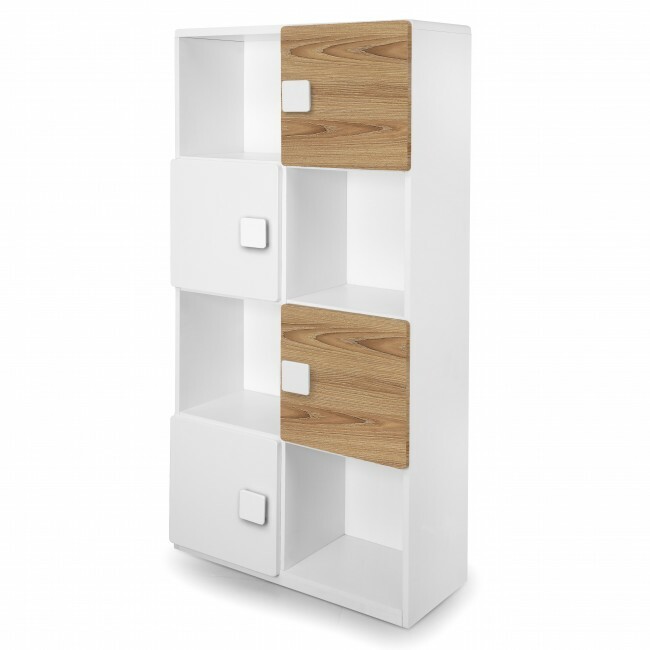 This cubical book case has four rows with four open cubbies and four closed sections covered with small doors. 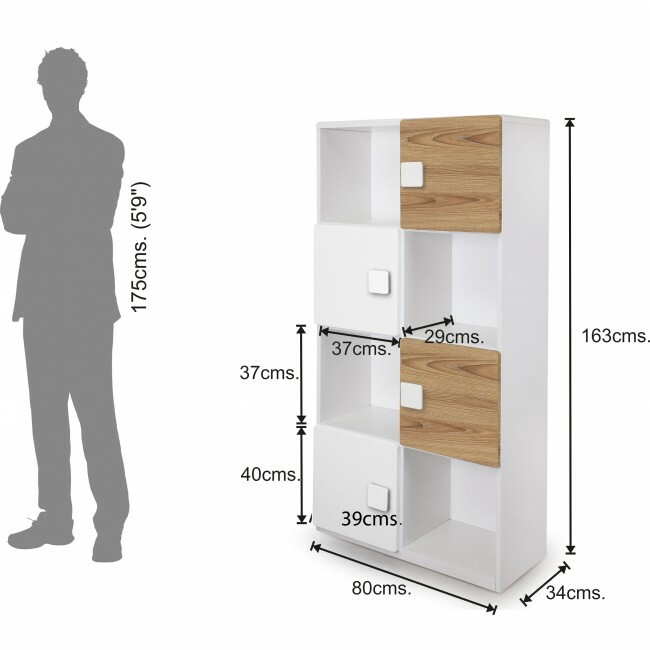 They are stylish, highly spacious and functional. 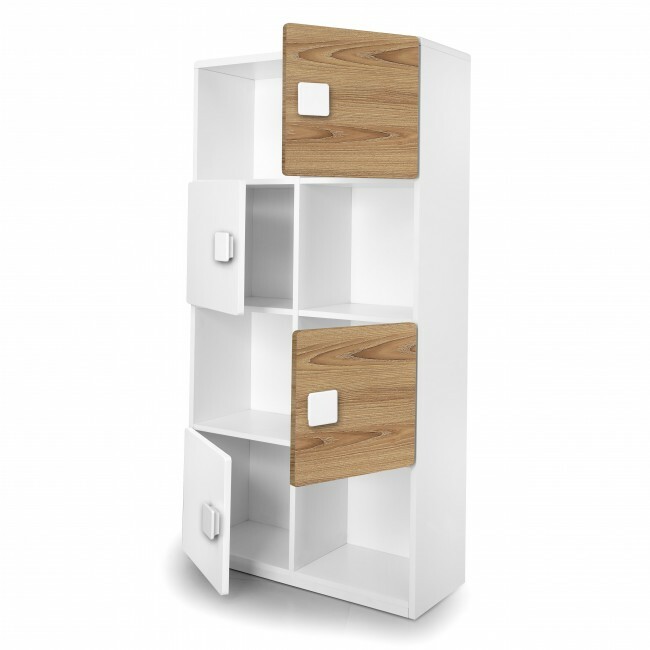 Perfectly suited for children who have a lot of treasures and never enough room to store them away. 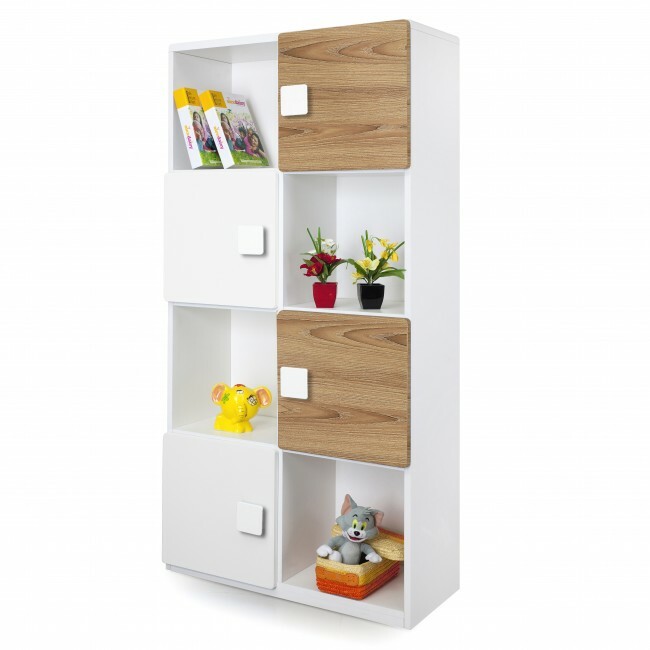 With this unit your child can easily organize all their books and other belongings with style.To avoid trapped fingers and slamming, all doors are fitted with soft closing mechanisms. 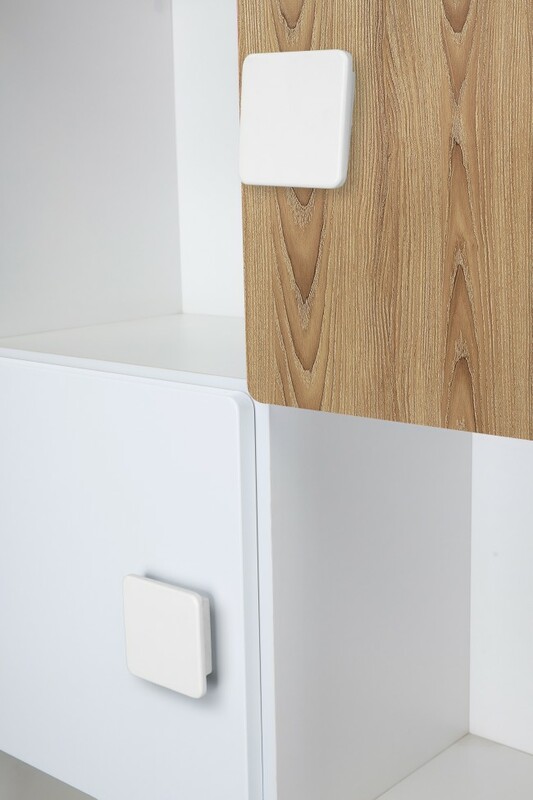 In addition each external edge and corner is softened which makes this piece ideal for a child-friendly environment. Four open and four closed compartments. Soft motion and auto close hinges. Scratch and spill resistant surface.